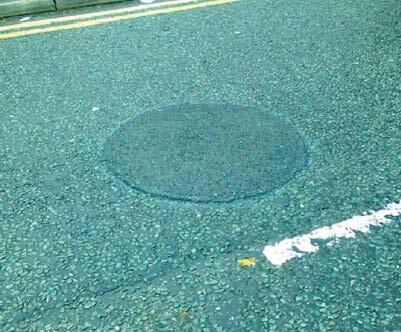 The Road Mole pothole repair system can complete a proven permanent repair within 10 minutes depending on the size of the pothole. 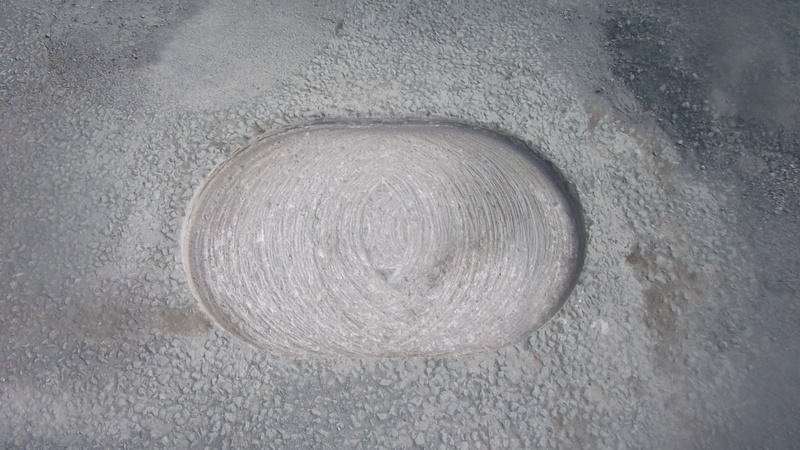 Road Mole can precision cut a circular shape between 300mm – 1300mm diameter for potholes and 1000mm – 1800mm for ironworks. The machine can run on bio-diesel making it more environmentally friendly. 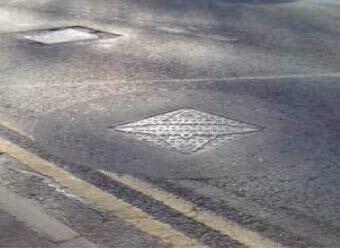 The Road Mole system is a minimum 2 person operation to aid civil engineers / operatives. Once the pothole repair is complete it can be driven over immediately. 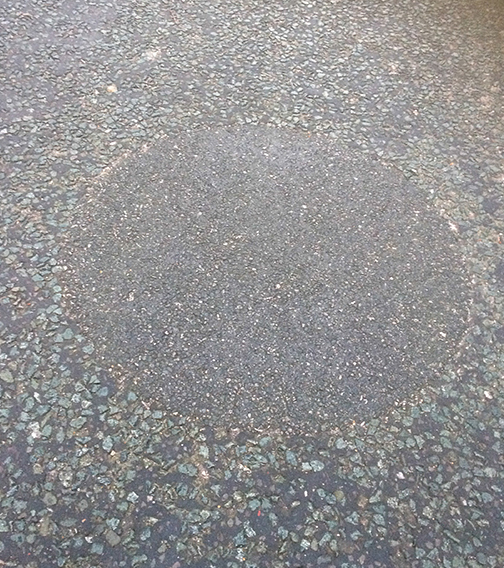 Road Mole can perform a circular cut removing the damaged surrounding material from the ironworks leaving the frame easily accessible for replacement works. As with ironworks cats eyes can also be cut around. Cuts can be overlapped or routered. OPTIONAL SPLIT SYSTEM – Details available on request. A GPS pothole tracking system can be installed, enabling an accurate, quick response time for a repair. Motorways, primary roads & non primary roads. 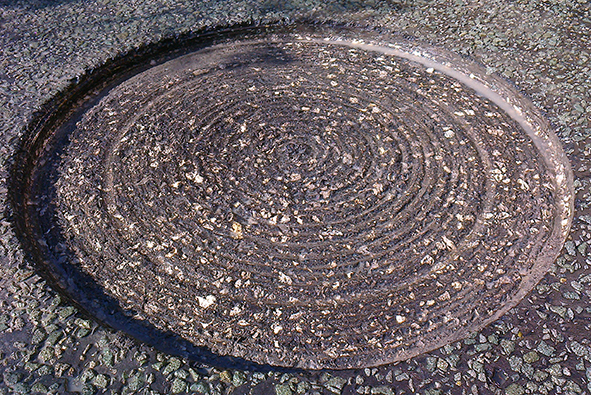 Traditional method (background) repaired several times, Road Mole circular repair still sound after 5 years. Precision cut to required depth, pothole completely removed.